Having a wide range of Bitcoin slots games to choose from is always an advantage for slots enthusiasts; thus avid fans of this extremely popular and exciting casino game will absolutely enjoy spinning the reels of the slots featured in BitBet. Wager bitcoins in this online casino to assure of a top-notch betting experience that other Bitcoin-powered casinos cannot match. In fact, players who are longing for new ways to have fun in slots betting must not let the golden opportunity to play Bitcoin slots and winning in this casino pass. What sets this casino apart from the other Bitcoin online gambling sites is that it serves as host to multiple casino lobbies, each featuring their own set of fantastic casino games. Find here Fortuna Casino, Casa Blanca Casino, Oasis Real Live Casino, and the soon-to-open Circus Circus Casino and Sands of the Caribbean. Currently, slots bettors can find tons of Bitcoin slots in Fortuna Casino and Casa Blanca Casino found exclusively in BitBet. With the availability of multiple lobbies, players are given the freedom to choose their preferred slots games. They can easily select from the collection of games in one lobby or wager on the slots featured in another. With two lobbies offering slots games, there are a total of 24 Bitcoin slots available for every bettor from all over the world. Therefore, there is no reason for avid players to run out of games to wager on. To make things much better, BitBet features a combination of three- and five-reel slots that are packed with various gameplay and surprises. As a matter of fact, the slots offered in one casino lobby are vastly different from those available in the other. Some slots have more pay lines while others have different special symbols that make the games more interesting and entertaining. Moreover, the graphics, design, themes, and animations of the slots in this casino are distinct to make sure that slots enthusiasts can enjoy the variety offered. However, it may become evident that the quality of the games’ aesthetics falls short as compared to the high-quality graphics employed in most Bitcoin slots. Nevertheless, bettors are guaranteed to have a great time spinning the reels of as many slots as they want. 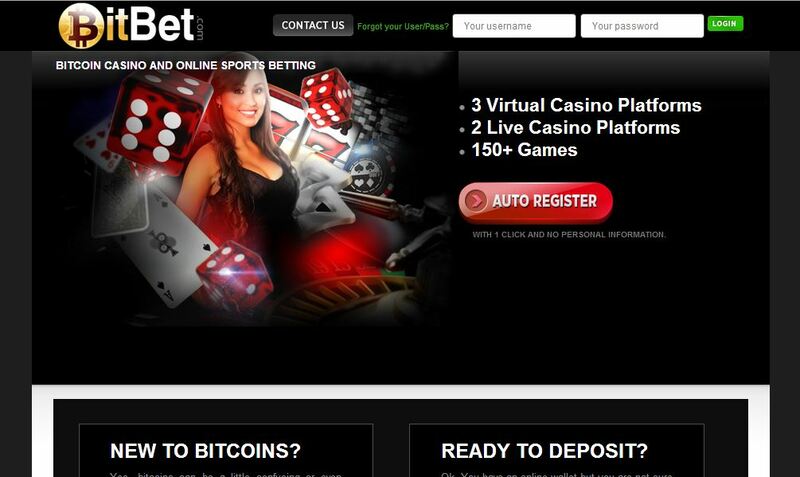 Based on the features, qualities, and points raised earlier, it becomes evident that BitBet is one of the best options for avid casino players who wish to enjoy several rounds of betting on slots with bitcoins. Although it may lack in certain areas like the graphics department, the overall betting experience is still remarkable. Therefore, make sure to get a first-hand experience of spinning the reels of the slots games in this Bitcoin casino to have an enjoyable and worthwhile time betting on slots.